Not long ago, we provided some tips for nonprofits on how to use LinkedIn, but you may be wondering – where can I find a quick guide on how to use LinkedIn for job hunting? 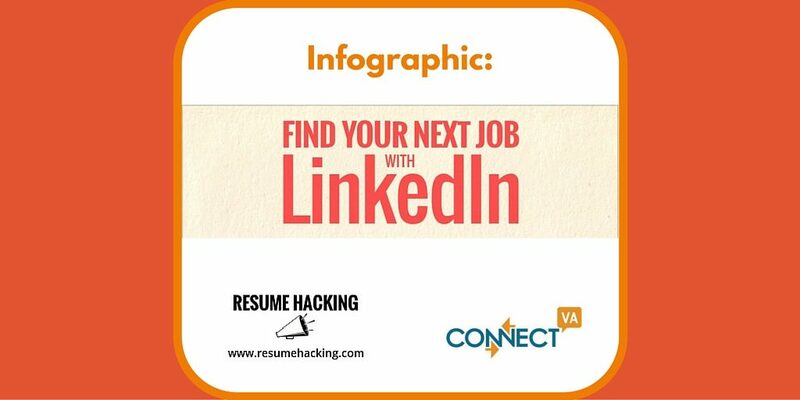 Resume Hacking, a resume-writing e-book series, gave us permission to republish their infographic on how to Find your next job with LinkedIn. 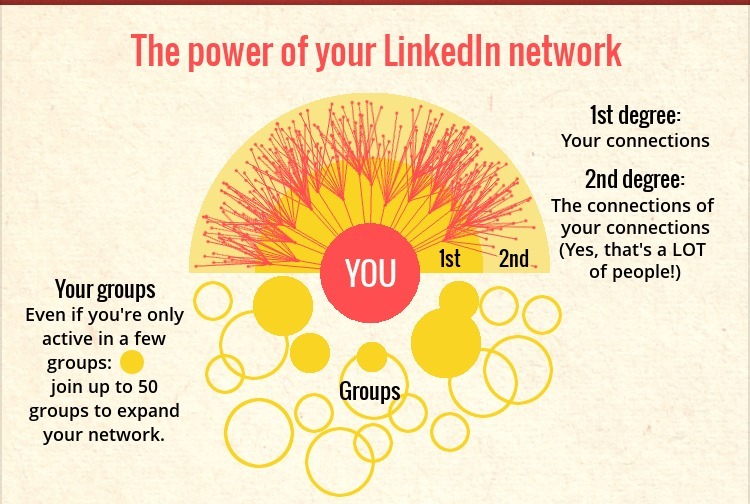 Recruiters ARE searching for you online, and 76% use LinkedIn! They aren’t just searching for you either – 43% ask their colleagues and connections about you on LinkedIn, and it’s a gold mine of opportunity – only 22% are using LinkedIn to reach out to people about opportunities. There are lots of opportunities to establish yourself as a subject matter expert and grow your network – by posting your own original content and sharing media you find interesting with others. A professional photo, engaging headline, and rich summary are keys to a great LinkedIn profile. 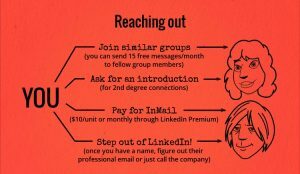 Get discovered by recruiters by staying active (not just when you need a job), having a keyword rich profile, and joining a lot of groups. One good way to approach job hunting on LinkedIn: 1) find a job ad, 2) research the company on LinkedIn, 3) Look for the person supervising the position, 4) reach out! Register on ConnectVA to receive a daily digest of new job postings, nonprofit event postings, and more. Are you a young professional looking to network with others in the field? Check out YNPN RVA.